The minute that first fall breeze floats through the air, my daughter is begging for hot chocolate. Some people may reserve hot chocolate for snowy months, but not us! We love the brisk temperatures with a cup of chocolate-ly goodness. 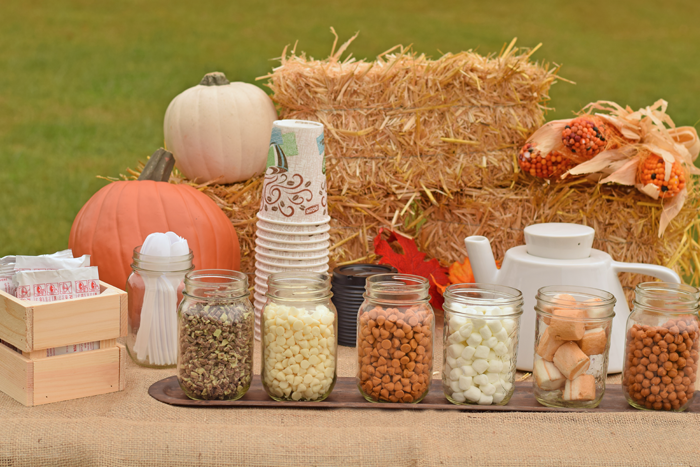 Last week, I created a fun Fall Hot Chocolate bar for a few friends. Instead of peppermint sticks and cinnamon, I offered different flavors that are associated with fall. 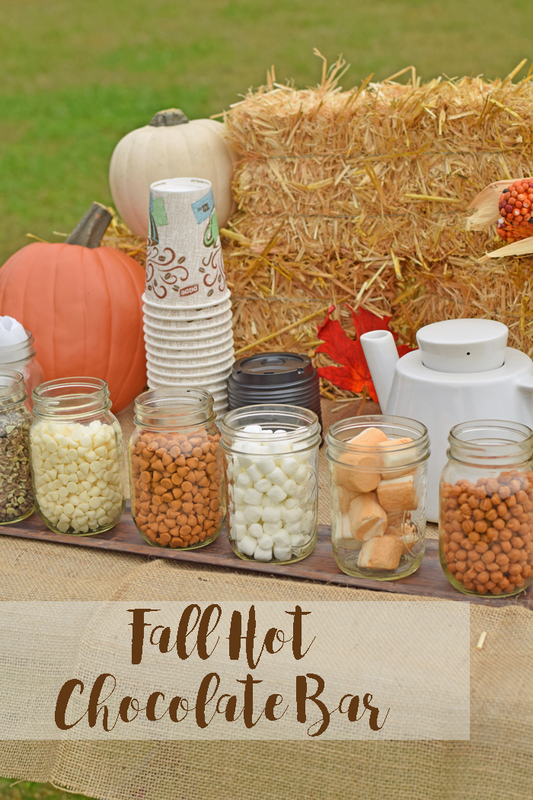 With one trip to the grocery store, this Fall Hot Chocolate Bar is easy to set up and would be a hit at your next gathering! Are you planning a pumpkin carving party or a chicken stew? This would be a great addition! I had a small crate on hand that was the perfect size for hot chocolate packets. A small bowl would work, as well. Last year, I purchased this kettle brand new at a thrift store for a dollar! It has been handy when entertaining. For this hot chocolate bar, I heated water on the stove top and then added it to the kettle. Guests could add the water to the hot chocolate mix in the cup and then use a spoon to stir. 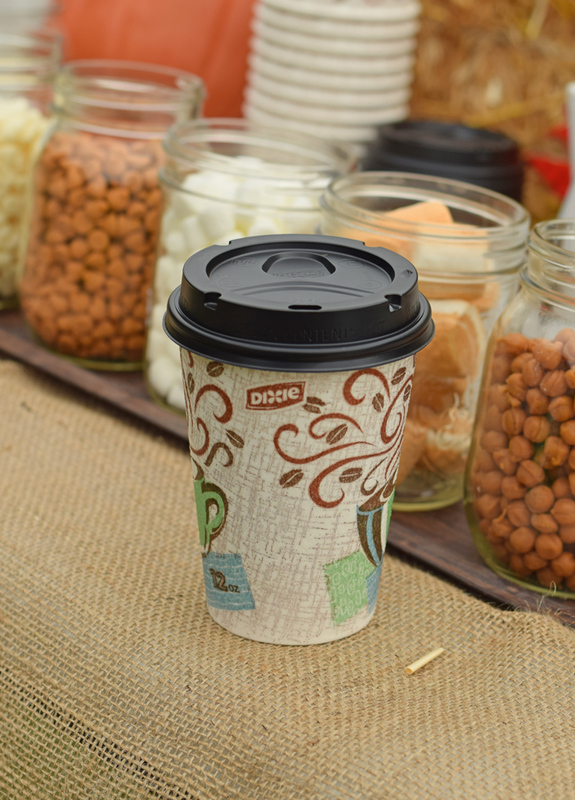 These Dixie® To Go cups are PERFECT for hot chocolate bars! 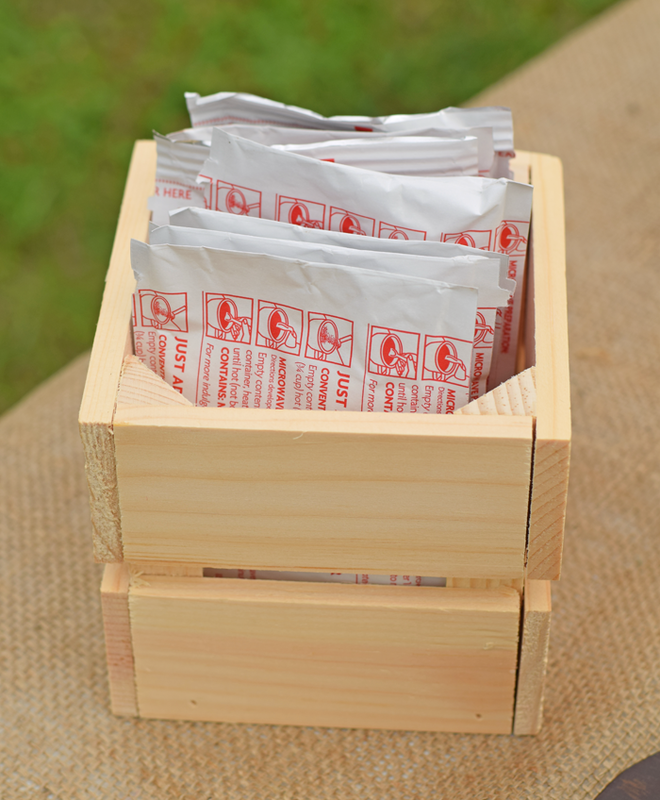 They have an insulated layer that keeps the beverage hot, so your guests can confidently enjoy their beverage. And the leak-resistant lid is a must! 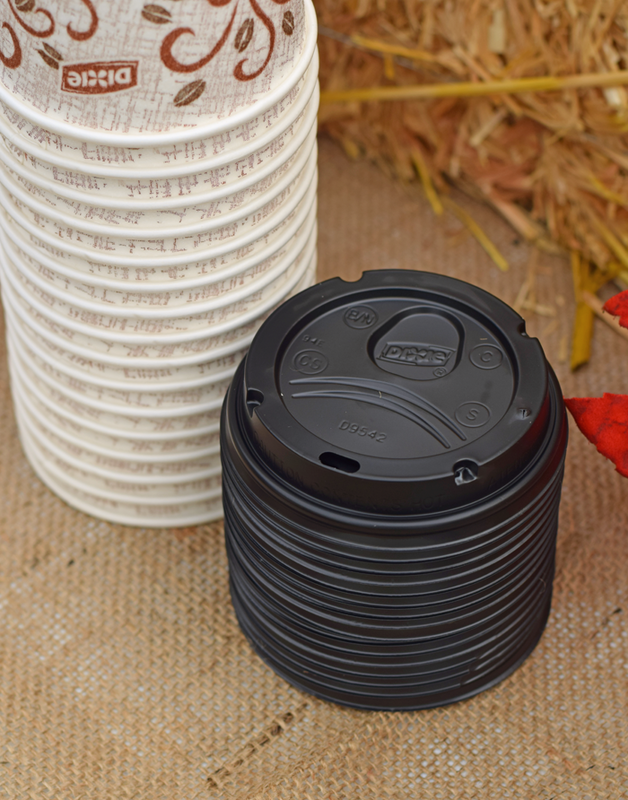 The Dixie® To Go cups are great for guests to take their hot chocolate on the go. I also added mint chips for those guests who wanted a traditional flavor. Do you have any other flavor ideas? Leave them in the comment section below! 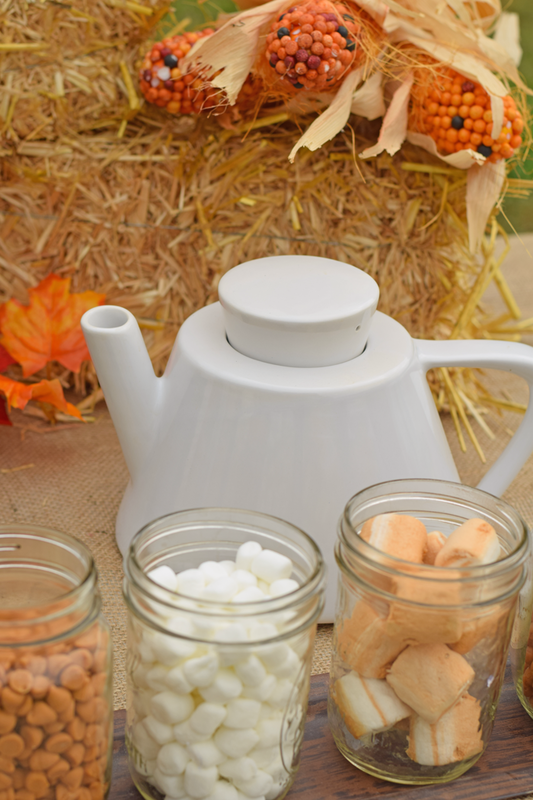 Are you hosting any fall themed gatherings this year? 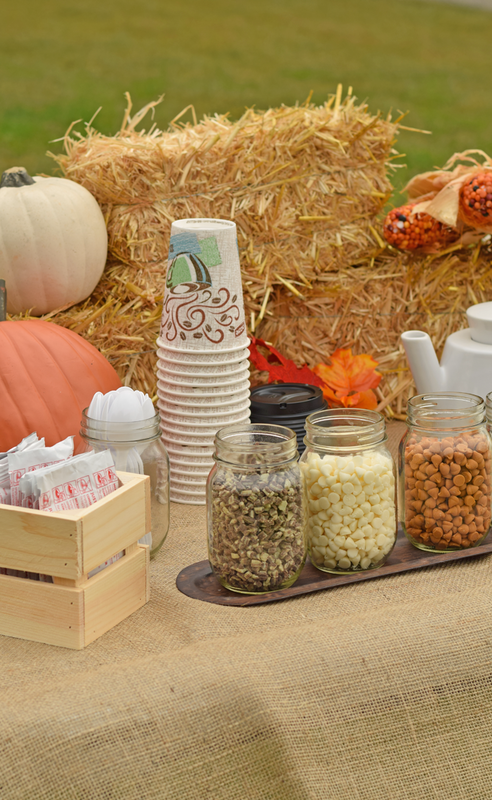 Would your guests enjoy a fall themed hot chocolate bar? This looks like the perfect Fall Party. I need to try the pumpkin marshmallows! This is a genius idea and your presentation is perfect! Cute idea. This could even work on Thanksgiving beside the coffee set up at dessert time. I know we have enough kiddos that would enjoy it. oh that is SOOOO fun! what a great spread and my kids would love everything about this!! Those DIxie cups are great! I use them to take a cup of coffee to work! Love your chocolate bar! 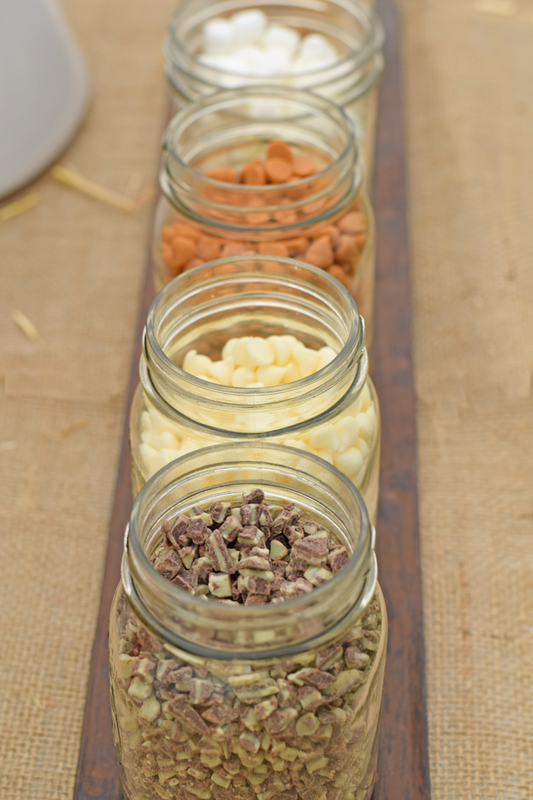 I love the idea of a hot chocolate bar! What a fun Fall idea! This is such a cute idea for fall gatherings! Such a super fun idea!! I will definitely keep this in mind, when hosting my next get together! Love this idea. It’s so fun and your set up is adorable! I’ve made holiday cocoa bars before, but hadn’t thought to do it for fall. Love this idea and the items you included! 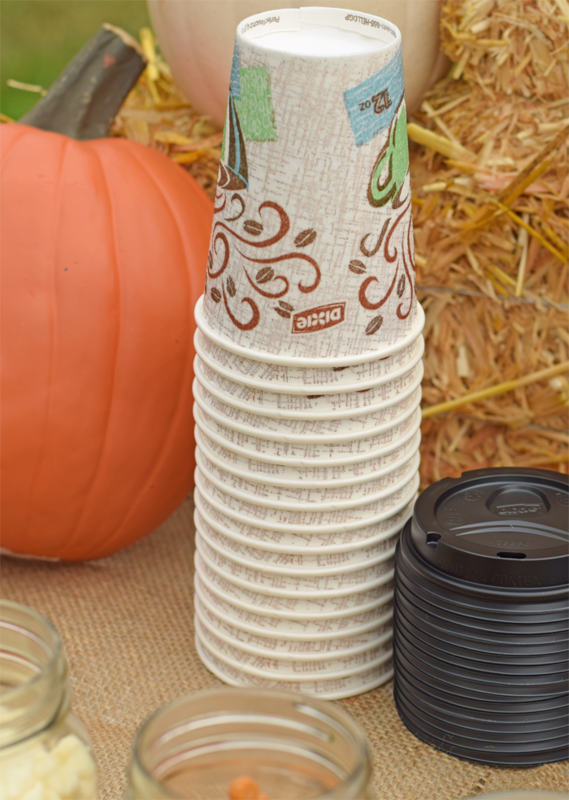 What a great idea for an outdoor Fall party! Thanks for sharing! Peanut Butter chips would be really good also. Yes, they would. That sounds great! I absolutely love hot chocolate. I love making my Hot Choc.in the show cooker! 6 great hot chocolate mixes! *Vegan Hot Choc. *Aztec Hot Choc. *Nutella Hot Choc. *Lavender Hot Choc. *Irsh Hot Choc. *Peanut Butter Hot Choc.! *Lavender White Chocolate – 1 of My Favorites! Dixie should have festive cups. That’s the only thing that would make this better. Excellent post! I can’t wait to do this in my new house!! !